Everyone deserves to enjoy a smile that looks just as great as it feels. Sadly, even healthy teeth can fall victim to noticeable dental flaws over time, from stains and discoloration to awkward gaps and misalignments. Instead of hiding your smile in every photograph, why not stand front and center after receiving cosmetic treatment from Dr. Catherine Cech? Our office offers several quality options that are great for every smile, resulting in transformations that are truly dazzling. Contact our Manchester, VT office today to schedule a cosmetic consultation! Veneers are customized, wafer-thin pieces of dental porcelain that are designed to cover the front of the patient’s teeth, beautifully correcting several dental flaws all at once without the need for multiple procedures. These could include stains, chips, cracks, and even minor orthodontic concerns like gaps and misaligned teeth. The porcelain is actually more resistant against staining than your natural tooth enamel, allowing the changes to last for that much longer. With proper oral hygiene and professional maintenance, patients can enjoy veneers for 10-15 years or more before replacements are needed. Direct bonding is a cost-effective cosmetic option that allows Dr. Cech to repair small imperfections using quality composite resin material. Our team typically recommends this for patients seeking corrections who are unwilling to undergo more involved and invasive procedures like orthodontic treatment or porcelain veneers. The bonding procedure can be used to correct minor chips or uneven spacing concerns, and the procedure is so simple that it’s completed in one, easy visit, often without the need for anesthetic! Patients undergoing direct bonding will need touch-ups over time to maintain a uniform appearance throughout their entire smile. Teeth whitening (also commonly known as “bleaching”) can be used to improve the brightness of your natural teeth and erase common imperfections like noticeable stains and yellow discoloration. Patients may be in need of teeth whitening over time because of a poor oral hygiene routine, certain foods/drinks in their diet, or even simple age and genetics. Dr. Cech offers take-home teeth whitening at her office for patients from Sandgate, VT and surrounding areas. All the patient has to do is wear the provided customized oral trays and high-grade gel for a certain amount of time each day. Within a few weeks of diligent use, you’ll see beautiful improvements. Because whitening only works on your natural tooth enamel, it will be important for us to reevaluate and replace any old fillings, crowns, or other restorations to ensure a seamlessly uniform look. Touch-ups will also be needed over time to maintain your brightened smile. In the past, silver-colored amalgam was the material of choice when it came to correcting cavities and tooth decay with fillings. Today, Dr. Cech is happy to offer a much-improved alternative: tooth-colored fillings. Crafted from high-quality composite resin, this restorative solution has valuable cosmetic benefits, allowing our team to closely match your natural enamel for a blended, virtually unnoticeable finished result. 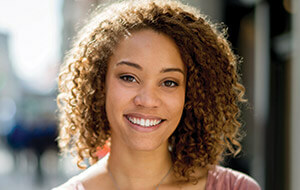 Tooth-colored fillings offer additional advantages to patients. Their conservative nature allows our team to maintain more of your original tooth enamel for a healthier treatment experience overall, and the lack of metals means that you won’t experience any uncomfortable expansion or contraction when the filling is exposed to changes in temperature. With the right amount of at-home oral hygiene and professional maintenance, tooth-colored fillings can last for 15 years or even longer.